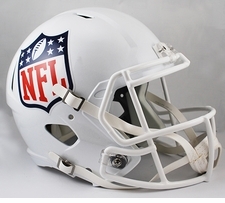 The NFL Deluxe Replica SPEED Full size NFL helmet. 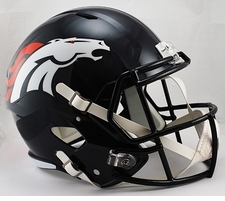 This is a new style helmet released in June 2015. 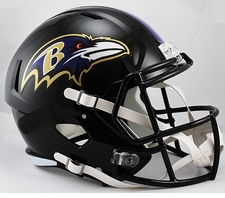 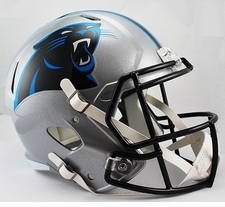 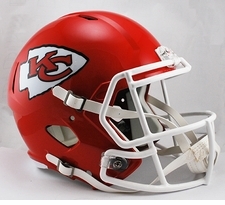 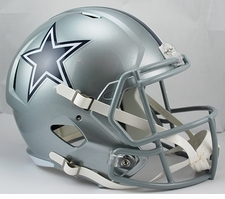 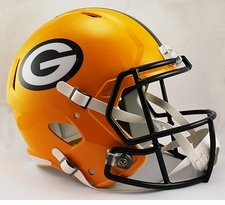 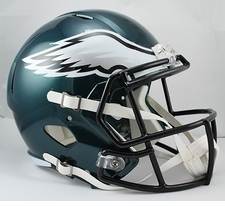 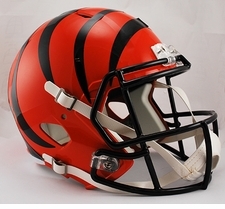 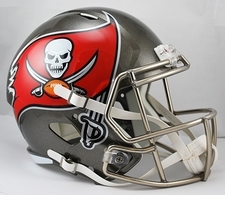 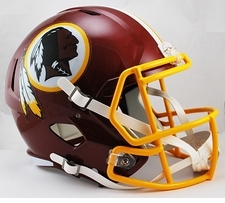 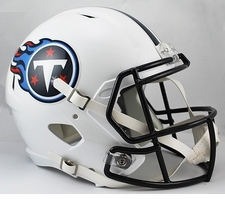 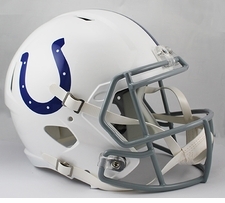 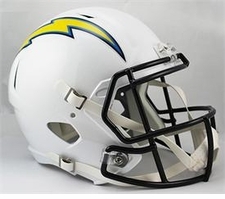 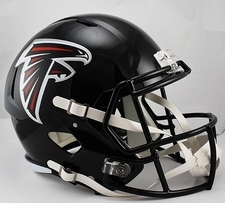 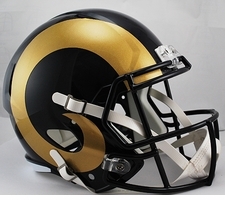 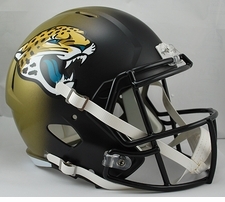 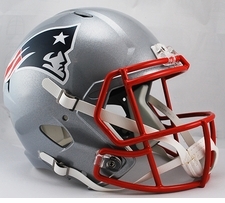 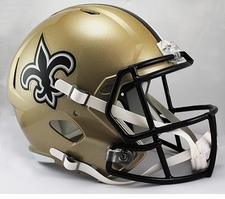 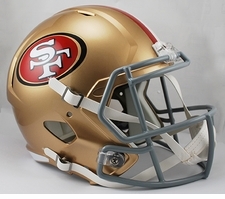 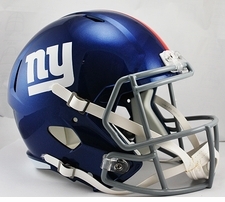 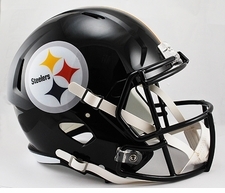 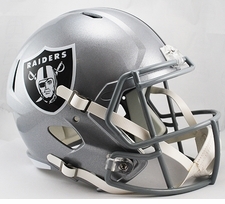 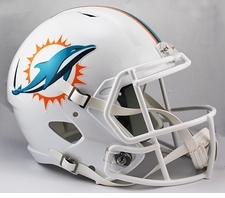 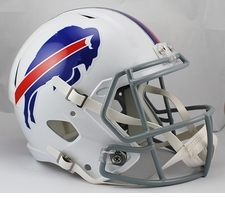 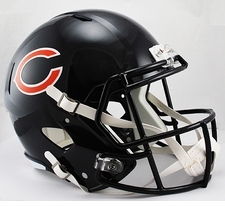 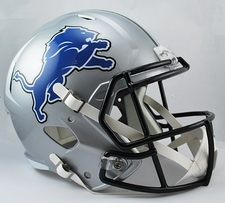 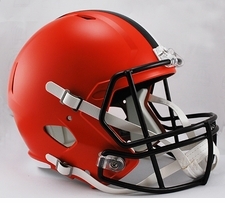 The most popular on-field helmet design in now offered as a Replica display helmet. 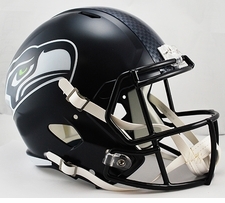 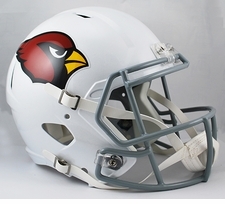 It has a medium size speed shell, with the same facemask and 4-point chinstrap as the authentic version. 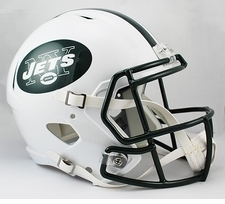 These helmets have molded foam jaw pads and include a plastic NO-Wear plate so the helmet cannot be placed on your head! 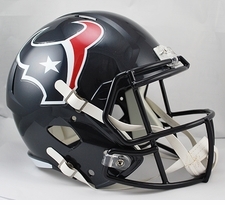 This helmet looks just like the players wear on the field and is great for autographs or to collect your favorite team! 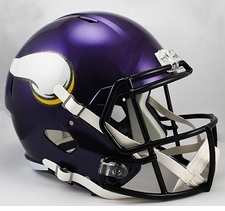 Not to be used for play.